May I uphold your lineage and be blessed to follow your example. and have cut all material ties to this life will have no interest in honor or gain. the Gurus who open the doors to the treasury of oral instructions. will be freed from the belief that there is something on which to meditate. may realize that samsara and nirvana are identical. 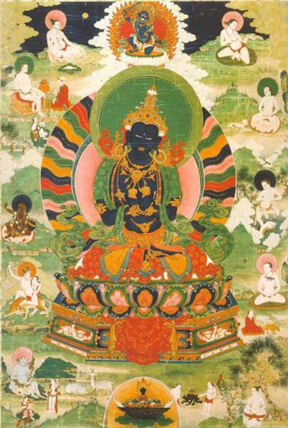 may I swiftly achieve the state of Vajradhara. Having observed certain signs that the time may be ripe for a new translation of this prayer, and with the encouragement of the Ven. Yonge Mingyur Dorje Rinpoche, Tulku Sherdor completed this version at Blazing Wisdom Institute on July 11, 2006, and offers it freely to all whom it may benefit (with inclusion of this colophon).